Summer France has carefully selected accommodation in the wonderful Provence region of France, ensuring guests can enjoy the best of the area. Located in L'isle sur la Sorgue, the accommodation provides a welcoming base, allowing guests to be as relaxing or as active as they please. Guests can enjoy the stunning natural surroundings at a leisurely pace, or get involved with a range of adrenaline-fuelled activities. There are pretty towns to be explored, as well as delicious local cuisine, with cured meats, creamy cheeses and delicious wines from the vineyards in the region. There is plenty for guests to enjoy on a holiday in Provence, whether visitors are looking for stunning architecture, history and culture or a range of activities. Cycling is a popular activity, with trails through the woods and forests, and country lanes that lead to vineyards where visitors can taste delicious local wines and see how the grapes are harvested. Mountain biking is ideal for those wanting to test their endurance, while walking and hiking trails lead through dappled woods and pretty valleys as well as around Provence's famously stunning lavender fields. To really get in the spirit of the region, why not get little ones to draw and paint pictures of the stunning mauve fields  you might just find the next Matisse! Families will enjoy a trip to one of the lakes in the Provence region, with a range of water sports on offer, as well as plenty of spots for a picnic. Canoeing and kayaking are popular activities and are a great way to explore the natural surroundings, while horse riders will find some excellent schools available. Older families should try rock climbing or a visit to the treetop adventure park to test your balance, with ropes through the trees as well as assault courses and zip wires for the adventurous. Those wanting to try some more relaxing outdoor activities should take to the golf course where they can enjoy striking views while enjoying a relaxing game in the sunshine. Alternatively, spend the day in complete tranquillity and try your hand at fishing in the lakes and rivers. History and culture lovers should visit the museums of the area, including the truffle and wine centre in Luberon, and the Petrarch Library and Museum. Monuments include the Notre Dame de Sénanque Abbey, the Synagogue in Carpentras and the Pont d'Avignon  the Avignon Bridge. When atop the bridge be sure to sing out the old nursery rhyme ('Sur le Pont d'Avignon')! Provence is famous for its fantastic selection of local food and wine, with delicious fresh products served simply. Bouillabaisse is a traditional dish from Marseille and consists of fresh fish, usually red mullet, monkfish and sea bass with shellfish in a broth, served with rouille (a garlicky mayonnaise) with grilled baguette and is temptingly rich. Before any meal, savoury tapenade spread on crunchy slices of baguette compliment an apéritif perfectly. To sample the flavour of Provence, Pastis is an aniseed flavoured liqueur, which can also be enjoyed as an apéritif, or for something a bit lighter, crisp white wine can be mixed with dark blackcurrant cassis for a luxurious glass of kir. Visitors to Provence can also enjoy the best of traditional French cuisine, including freshly baked breads, melt in the mouth beef casseroles, creamy cheeses, fine wines and fresh seafood. With pastries and croissants available at the bakeries as well, visitors won't find themselves short of food to enjoy here. Provence is filled with wonderful towns and villages, set amid stunning rural landscapes and a fantastic range of activities just waiting to be enjoyed. Summer France carefully selected accommodation ensures guests get the most from their holidays here, with the stunning back of hills and valleys to be explored. Known as the 'island city', Isle sur la Sorgue is an idyllic resort which lies just outside of Avignon. With a diverse history, as well as delicious cuisine and a relaxing atmosphere, L'Isle Sur La Sorgue is cut through by tributaries of the Rhone, L'Ouvéze and La Sorgue. Visitors to the area will love the narrow streets which hug the canals, with quaint bridges. Regular markets line the length of the canals, while tiny cafés deck the narrow streets, with a few locals lounging in the sunshine. Guests can stay at the Résidence Provence Country Club where there is an excellent golf course, classic lavender fields nearby and a private south-facing swimming pool for guests to soak up the French sunshine during the summer. Traditional Provençal cottages are divided into cosy apartments, sleeping from four to eight guests, offering a slice of rural French life. The Résidence Provence Country Club offers family-friendly apartments, with a fully equipped kitchen so guests can enjoy the freedom of creating their own dishes as well as eating out at the local restaurants. The large balconies are ideal for those wanting to enjoy breakfast with a view as they soak up the bright morning sunshine and enjoy a coffee. The Résidence golf club next door provides a fantastic 18 hole course, as well as tennis courts and a fitness suite, plus a club house restaurant, which Summer France guests are welcome to book locally. 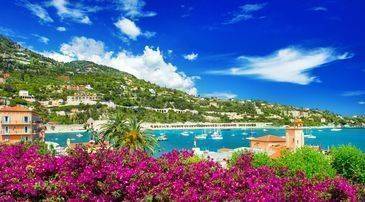 Choose Summer France fantastic Provence accommodation today and get the most from your holiday in this wonderful area.